If you live in L.A., sometimes it seems as though Kirk Douglas is everywhere. I’ve heard him speak at a local synagogue, and I’ve attended plays at the Kirk Douglas Theatre, a Culver City movie palace converted into a playhouse specializing in intimate, unusual fare. He and wife Anne have made sizable donations to Children’s Hospital L.A. and have helped revamp playgrounds on schoolyards throughout the city. Today, when I went to do research at the Academy’s Margaret Herrick Library, I gained access to the collection via the Kirk Douglas Grand Staircase. Gracing the Herrick lobby was a special exhibit featuring the informal celebrity photos of Nat Dallinger. Prominently featured was a charming Dallinger image from 1950. It shows Kirk Douglas shaving his famous chin, while young son Michael (all of six) studiously tries out his own electric shaver in imitation of Dad. Douglas of course made the big bucks as an actor, famous for leading-man roles in films like Champion, The Bad and the Beautiful, 20,000 Leagues Under the Sea, Lust for Life, and Lonely are the Brave. But in recent years he’s become quite the writer too. There are several volumes of well-received memoir, starting with The Ragman’s Son in 1988. There’s fiction, and also books for young readers. His late-in-life exploration of spirituality produced Climbing the Mountain: My Search for Meaning, as well as several volumes about growing old. (He’s now a still-vigorous 98). But I want to discuss the book he published in 2012, I Am Spartacus! : Making a Film, Breaking the Blacklist. 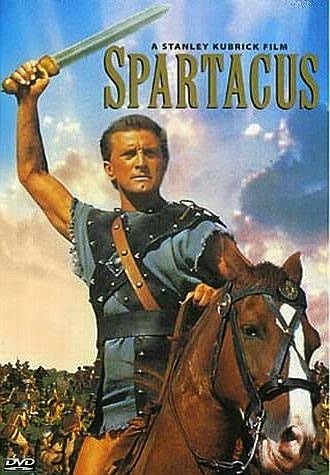 Douglas’s Spartacus book isn’t only about the blacklist. He tells great yarns about the casting of Jean Simmons, the hiring of a young Stanley Kubrick to replace a less accomplished director, and the heroic dedication of Woody Strode. There’s also a disturbing glimpse of Laurence Olivier’s wife Vivien Leigh, deep in the throes of bipolar disorder. As an aside, Douglas shares the story of his own son, Eric, who years later struggled with the same cruel disease. 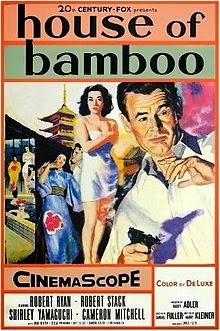 Tough-guy director Sam Fuller was at the helm of House of Bamboo, the first Cinemascope film ever shot in Japan. The year was 1955, when the American military occupation of post-World War II Japan was still very much in evidence. In fact, House of Bamboo gives prominent screen credit to the Military Police of the U.S. Army Forces Far East, the Eighth Army, the Government of Japan, and the Tokyo Metropolitan Police Department for facilitating the film's production. In House of Bamboo, Shirley Yamaguchi’s character is that of a gentle but brave young Japanese woman who has made the mistake of marrying one of the American thugs. His death kicks off the film. Later, after being thrown together with Robert Stack, she displays great courage in supporting his efforts to bring the gang to justice. It’s predictable: she’s loving, domestic, and always submissive, entirely in keeping with the stereotypes of the era. In movies, at least, those sweet, docile Japanese women couldn’t seem to get enough of western men. I thought of House of Bamboo when reading James McGrath Morris’s fine biography of the pioneering African-American journalist Ethel Payne, whose coverage of the civil rights era helped shape American history. In 1948, as a young woman not yet bent on a journalism career, Payne shipped out to Tokyo to work with black servicemen through the USO. She was surprised to find young Japanese women being drawn to African-American soldiers. The attractiveness of Americans was obvious: in an era of deprivation they had ready cash and access to western goods. And Payne discovered that many Japanese women preferred black soldiers, whom they found kinder and more generous than their white counterparts. “Chocolate Joe” may have been used, but others suffered far more. 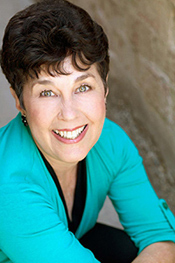 Payne visited orphanages full of mixed-race babies, abandoned by their mothers. Those who were half-black bore the brunt of two nations’ rejection. It occurs to me that there’s surely a movie in that. Biographer James McGrath Morris, author of Eye on the Struggle: Ethel Payne, the First Lady of the Black Press, will be a featured speaker at the sixth annual conference of BIO, the Biographers International Organization, on June 5-6, 2015, in Washington, D.C. The public is most welcome! And here's more on Ethel Payne. 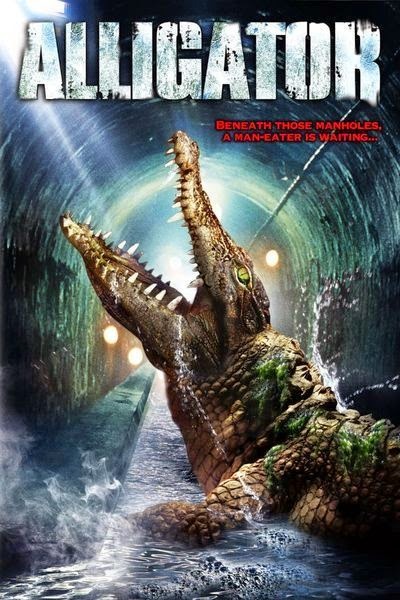 Robert Forster’s Movieland ABCs: A is for "Alligator"
Alligator, directed in 1980 by Roger Corman alumnus Lewis Teague, has many familiar Corman components. There are car crashes, explosions, wry humor, and (oh yes) a large, scary alligator that bares its fangs and reduces people to a bloody pulp. The film’s screenwriter, now a respected indie filmmaker, also got his start at Corman’s New World Pictures. Of course I mean John Sayles, who was discovered by my good friend Frances Doel when he was publishing short stories in Esquire. This was the era when Jaws, the biggest hit movie around, was called “a Roger Corman movie on a big budget.” Roger being Roger, he wanted to capitalize on Jaws’ box office success. But for Roger’s cheapie sensibilities, a movie about a giant scary fish was too expensive to contemplate. That’s why he put his money (all $600,000 of it) into a movie about small scary fish. He asked Frances, his ace assistant, to find a promising screenwriter, and she came up with Sayles. In-house Corman editor Joe Dante was drafted to direct, and the result was Piranha, a potent combination of horror and humor, scares and laughs. Alligator, shot two years later, has more of the same, though it was not made on Corman’s dime. As a Jaws spoof it got extremely strong reviews: the New York Times chose it as one of the summer’s three best movies. And it did especially well on television. For Forster it proved to be “the only movie in my entire career I got paid a back end.” In civilian speak, this means that ABC-TV (which bought and then did a great job of publicizing the film) earned enough on it that Robert was entitled by contract to reap some of the profits. As every actor in Hollywood knows, a profit participation pay-off is something that’s hugely coveted, but only rarely collected. Forster’s affection for Alligator is not purely mercenary, though. As an actor who enjoys playing good guys, he’s fond of his character, a down-and-out police detective whose partners keep meeting a bad end. Despite the workplace trauma with which he grapples, he’s capable of wit and humor, though not about his thinning hair. (According to Sayles, it was Forster who suggested that his personal struggle with male pattern baldness be used as a running gag.) Sayles’ trademark social commentary makes an appearance, as do some of Hollywood’s best character actors: Michael Gazzo, Dean Jagger, Jack Carter, and Sydney Lassick (someone I’d worked with decades before he was featured as Cheswick in One Flew Over the Cuckoo’s Nest). There’s a budding love relationship with a pretty herpetologist played by Robin Riker (later to star in Corman’s Stepmonster). And there are some genuinely scary moments, like the alligator exploding out of a manhole to terrorize pedestrians. One of my favorite characters, aside from Forster’s David, is a self-styled Great White Hunter (Henry Silva) who treats local ghetto kids like native bearers as he stalks his prey—with predictably tragicomic results. No wonder Stephen King once told Forster at Cannes that Alligator was his favorite horror film. On the most recent documentary produced by Ken Burns, the mellifluous voice of Edward Herrmann is very much in evidence. He serves as narrator of Cancer: The Emperor of All Maladies, a six-hour PBS special based on Siddhartha Mukherjee’s book. This was hardly Herrmann’s first gig for Ken Burns: he had previously voiced the words of FDR on Burns’ The Roosevelts: An Intimate History. Sadly, Cancer: The Emperor of All Maladies was Edward Herrmann’s last opportunity to speak into a microphone. He recorded his narration while suffering from brain cancer, to which he succumbed, at the age of 71, on the last day of 2014. Edward Herrmann will always be linked to FDR in my mind. I first became aware of him back in 1976, when he starred with Jane Alexander on a much-admired TV miniseries, Eleanor and Franklin. Since that time, he’s played such historic figures as Lou Gehrig, George Bernard Shaw, Max Eastman (in Reds), Andrew Carnegie, Nelson Rockefeller (in Nixon) and William Randolph Hearst (The Cat’s Meow). There’s something about Herrmann’s patrician style that seems to link him to the history books. But he’s also appeared on TV as Herman Munster, and from 2000 to 2007 won fans as Lorelai’s amusingly pompous dad on Gilmore Girls. 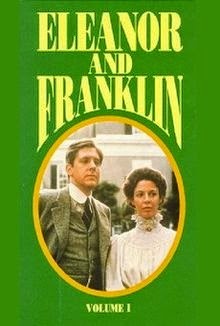 Yet there was a time when Edward Herrmann, future portrayer of presidents and potentates, was a struggling actor trying to make inroads in Hollywood. While he was performing with the Dallas Theater Center, he submitted his credentials and headshot to an L.A. production company in hopes of being considered for the young male lead in an upcoming film. Its title? The Graduate. Needless to say, he didn’t get the part. Nor did Harvey Keitel, nor John Glover, nor Richard Egan, nor Frederic Forrest, all of whom were nobodies in 1967, but went on to have substantial Hollywood careers. Nor did lots of eager young amateurs who responded to newspaper items about a nationwide talent search. Somehow Edward Herrmann made it through this onerous process. May he rest in peace. As the world lurches from crisis to crisis, we tend to forget what happened in Bhopal, India on December 3, 1984. The explosion at a Union Carbide pesticide plant that released clouds of dangerous chemicals into the air quickly killed some ten thousand locals. It also launched a health crisis that continues to this day, as mothers genetically affected by the blast give birth to severely damaged children. 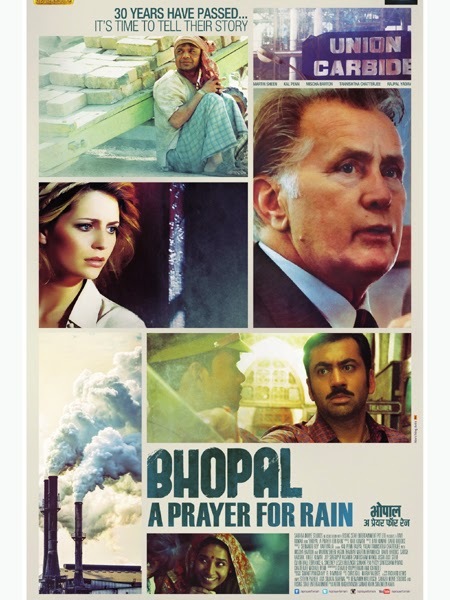 Bhopal was, in fact, the worst industrial accident of all time. And there’s no end in sight. One stand-out in this film is its cinematography, capturing the color of daily life in a small Indian city, and then presenting in excruciating detail the full sweep of the death and destruction. The original plan was to focus chiefly on an actual crusading journalist (portrayed by Kal Penn) who—aware of sloppy safety practices at the Union Carbide plant—predicted the disaster to come. But someone wisely recognized that this story belonged chiefly to the victims. A wonderfully likable Indian actor named Rajpal Yadav becomes the everyman figure whose determination to support his family puts him in the thick of the Union Carbide operation, which was intended to bring to an impoverished community much-needed jobs. As Stanley Kramer’s daughter, Kat Kramer works hard to bring a progressive social consciousness to these events. That’s why this year she inaugurated an award honoring actress and social activist Marsha Hunt, who was present in all her nonagenarian glory. The still-elegant Hunt spoke movingly: “To be thanked for what gave me so much joy in my life is kind of crazy.” But I noticed that much of the evening’s press coverage went to the film’s co-star, Mischa Barton, for her plunging neckline. Ah, Hollywood!